DreamScene is a feature introduced in Windows Vista. With DreamScene, users can set their favorite videos as their Windows desktop background wallpaper. 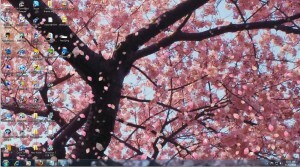 DreamScene supports .MPG and .WMV ( Windows Media Video) videos of any length. The basic requirement for using DreamScene in Windows is to get a computer with decent hardware and Windows Vista Ultimate Operating system. Microsoft removed DreamScene in Windows 7. However, it is possible to use DreamScene in Windows 7 and non-supported Windows Vista versions using DreamScene.exe application. The DreamScene applications copies and replaces some files and registry entries in Windows 7 and non-supported Windows Vista editions like Home Basic , Home premium and business edition.The DreamScene.dll extracted from Windows Vista Ultimate will be added to your Windows/system32 folder and DreamScene.dll.mui to Windows /sytem32/en-us folder. You will need to run this application with Administrative privileges, and in some cases a restart is required. Download DreamScene for Windows 7 here. We have also included a few WMV video wallpapers in this download. You may use them to test the DreamScene.exe application. After download, move to the DreamScene activator folder and select one of the two applications, right click and run as administrator. Follow the steps as given in the application. If it shows an unhandled exception error, just click and continue. The Windows explorer will restart, and DreamScene will come into effect. Select any DreamScene from the folder, right click, and set as Desktop background. Now the selected video will become your Windows wallpaper. Sometimes after installing Windows 7 DreamScene, the application icons in your Windows 7 desktop would become invisible or blurry. To fix this, right click on the desktop and open personalize. Now change your Windows theme to the default Aero theme, and then again, enable the DreamScene video wallpaper. Everything would be fine after this. Make sure that you have at least 1GB of RAM, graphics chip and Dual Core + processor for smooth video performance. If you have this configuration, you may also try DreamScene in Windows XP. More details are available here. im doing everything right i ran the Dreamscene.exe as an administrator and then i restarted my computer….but i looked at a video it was about 2mb and was in wmv format…..i right clicked….and the option of using it as my background wasnt there!!! I run the exe file as an administrator, but the black MS DOS window simply bounces telling me I need to run it as an administrator. Which is what I am doing. Before you post something , make sure you are indeed running as an administrator. RIGHT click on the file and say “RUN AS ADMINISTRATOR” . Also make sure the user you are using has both the “users” and “administrators” groups attached to them . if in doubt right click on “computer” and goto manage . Edit the user in question. This works like a charm on windows 7 and vista. Tested in SEVERAL different environments. How do i edit the user when i goto manage? If u folks haven’t yet sorted it out. You’ll find that you haven’t loaded it correctly. Any file links that you may have downloaded whether from ýoutube’ or where eva just make sure you download the files to your desktop. Delete anything your having trouble with restart computer and start again. Go to youtube look this guy up ‘TDK3wCompHelp’ read everything he does properly and I do mean read…It will take you no longer than 20mins if not less. And u 2 will enjoy the amazing effects it brings to your comp. It not only works. It really works. I’m not here to waste your time. So rest assure this should help you immensely. I had deskscapes and upgraded my PC to win7 X64 I got the app from stardock on 6-2010. They wanted to charge me agin for the win7 X64 verstion. This works very well! Easy to install. Great Directions. Links to lots of Dreams. It worked great, except it made my desktop NAMES all transparent.